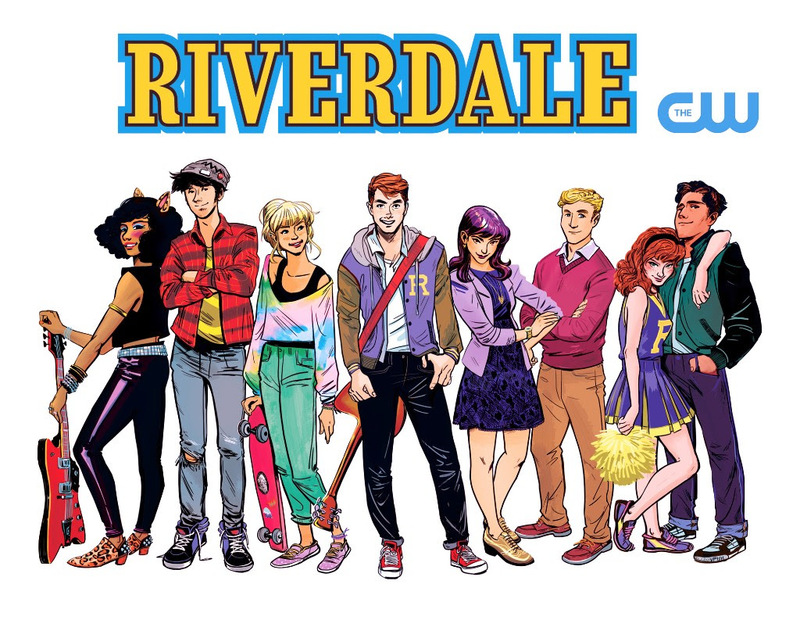 It's official -- the world's most popular teenagers are finally coming to television this fall on The CW's 'Riverdale,' a one-hour live-action drama based on the classic Archie Comics characters. "This is a historic moment for Archie Comics - and I couldn't be more proud," said Archie Comics Publisher and CEO Jon Goldwater. "It's a culmination of my time here, and I'm eager to see Greg Berlanti, Roberto Aguirre-Sacasa, The CW, Warner Brothers Studios, and the cast bring Riverdale to viewers every week. My promise to fans? You ain't seen nothing yet." 'Riverdale' stars KJ Apa as Archie Andrews, Lili Reinhart as Betty Cooper, Camila Mendes as Veronica Lodge, Ashleigh Murray as Josie McCoy, Luke Perry as Fred Andrews, Cole Sprouse as Jughead Jones, Madelaine Petsch as Cheryl Blossom, Ross Butler as Reggie Mantle, Casey Cott as Kevin Keller, Mädchen Amick as Alice Cooper, and Marisol Nichols as Hermione Lodge. For more information about 'Riverdale', visit the official Archie Comics website and follow us on Twitter, Facebook, and Instagram.